Progressives Just Made a Huge Compromise to Keep the Government Open, but the Tea Party Might Shut it Down Anyway. This highlighted the compromise made by Senate Democrats to accept a continuing resolution to keep the government open at very low spending levels. The Senate Continuing Resolution is Already a Compromise. This highlighted the compromise spending levels offered by Senate Democrats to keep the government open. The chart in this column was used repeatedly by the Washington Post’s Wonkblog. Debt Limit 101. Brinksmanship over raising the debt ceiling continued during the shutdown, and the deadline for avoiding a default on the national debt was only days away. 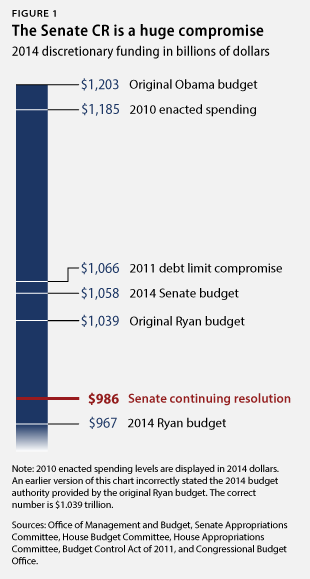 This column explained the key issues with the debt limit. Wisconsin Public Radio. I discussed the shutdown and debt limit on the Joy Cardin Show. “So why are we talking about this?” Part of my quote in a Mother Jones story about the debt limit. This entry was posted in Budget and tagged Continuing resolution, Debt Limit, Government Shutdown, United States public debt, Wisconsin Public Radio on November 4, 2013 by Harry Stein. It’s one thing to support spending cuts in vague terms. It’s another thing to support specific cuts to tangible investments and public services. 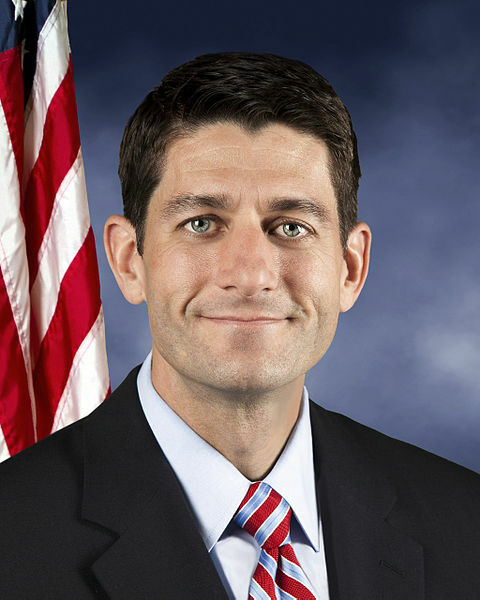 House Republicans enthusiastically supported severe — but vague — austerity in the Ryan budget. But on July 31, they refused to support the specific cuts required by that same budget. Specifically, Republican leaders had to pull their spending bill for transportation and housing programs from the House floor, once it was clear that it lacked enough support to pass. That bill had to make deep cuts to infrastructure and affordable housing to fit within the Ryan budget’s low spending limit. When House members saw what those cuts would actually look like, they refused to support the bill. This entry was posted in Budget and tagged Affordable housing, Amtrak, Austerity, Community Development Block Grant, Federal Aviation Administration, Housing, Infrastructure, Lead poisoning, NextGen, Ryan Budget, THUD Appropriations, Transportation, Transportation Investment Generating Economic Recovery on September 12, 2013 by Harry Stein. This is just weird. I was comparing the House and Senate versions of the spending bill that will fund transportation and housing programs for the 2014 fiscal year. As expected, the House wants to cut these programs far more deeply than the Senate. Less expected, the reports for these bills don’t even agree on how much we’re already spending this fiscal year. This entry was posted in Budget, Legislative Process and tagged Appropriations, Arrested Development, CBO, Congress, Footnotes, OMB on July 22, 2013 by Harry Stein. This entry was posted in Budget and tagged Appropriations, Center for American Progress, Congress, Fiscal policy, Kevin Drum, Lead poisoning on July 20, 2013 by Harry Stein.